page 31 -- Mrs. C.A. 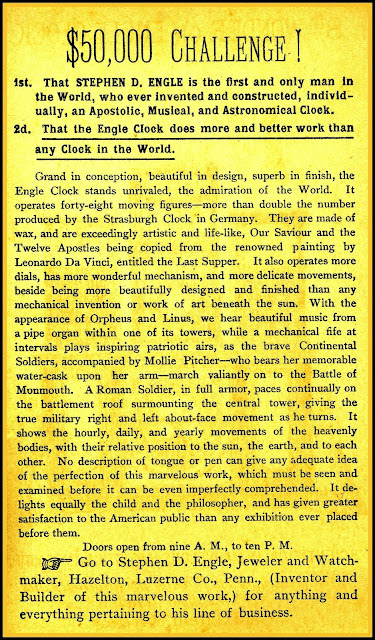 Richards, Stephen Engle Clock, E.F. Judson, John Paret & Co.
Another card for Mrs. C.A. Richards Millinery is on page 94 of the Earl J. Arnold Advertising Card Collection. The National Watch and Clock Museum is the home of the Engle Clock as of 2017. 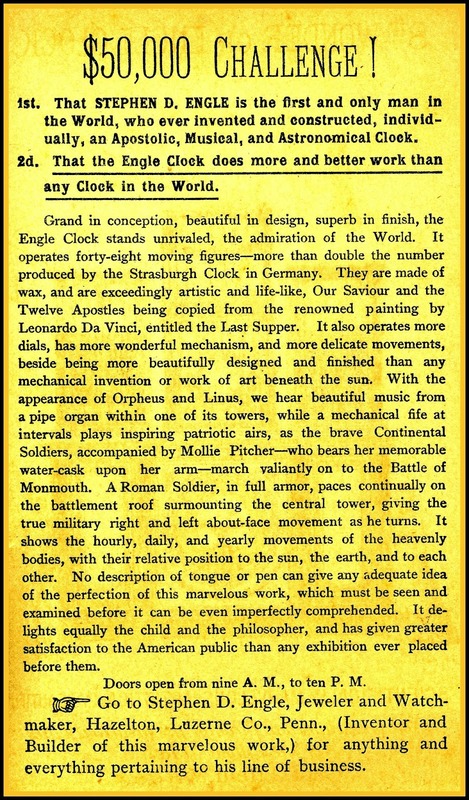 They have an extensive selection of clocks in addition to the Engle. Take the Museum's virtual tour via Google Street View "See Inside" cameras. From your starting point, the tour route is up to you. 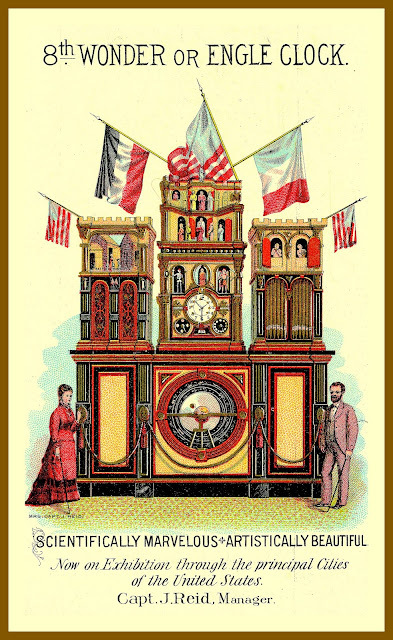 Photo of the clock from the starting point of your tour. Your tour begins from the point shown above. Another E.F. Judson card is on page 54 of the Earl J. Arnold Advertising Card Collection.